Every maker has a story. Be a part of Amorph's story by placing an order, leaving a review, and seeing your review appear here. 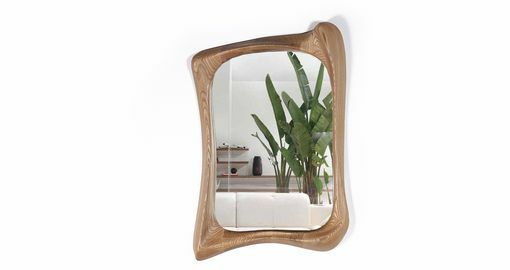 Narcissus is a stylish futuristic sculptural art mirror frame with a dynamic form designed and manufactured by Amorph. Narcissus consists of two pieces that join together to create elegant shape. Narcissus could be fitted in modern homes or offices featuring as a contemporary style art piece. Narcissus is made out of solid Ash Wood with matte lacquer finish. by the nature, the ash wood grain's look would be slightly different from the other. 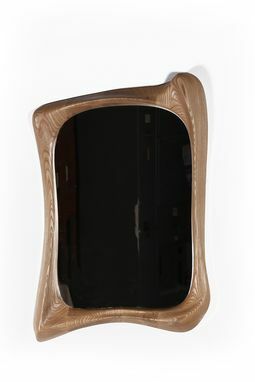 Narcissus Mirror Frameis made out of solid Ash Wood with matte lacquer finish. by the nature, the ash wood grain's look would be slightly different from the other. Note: This quality item is custom made for your order. Unfortunately, this means that orders cannot be cancelled or returned once placed. Therefore, please contact us with any questions you may have prior to ordering.